Make the most of your runs by tracking them wherever you go with this Garmin Forerunner 645. 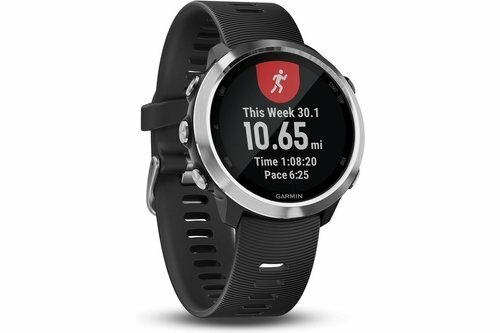 This watch includes the Garmin Pay™ Ready contactless payment method that lets you make convenient payments with your watch, so you can leave your cash and cards at home. It also provides advanced running dynamics including ground contact time balance, stride length, vertical ratio and more.